In my opinion, Apple Pie Spice is the absolute perfect blend of all things soothing. Cinnamon, Cloves, Nutmeg, Fenugreek, Ginger and Lemon Peel come together and transport you back in time to Grandma’s kitchen table. 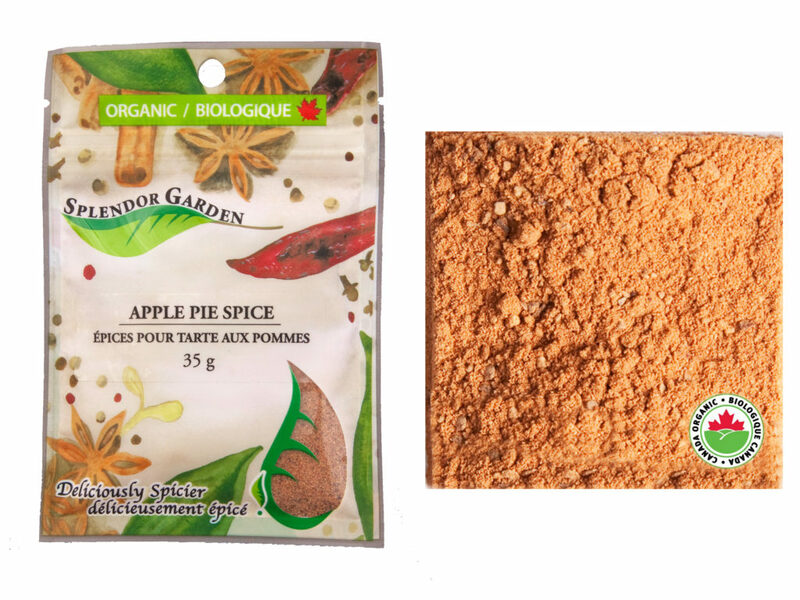 Our Organic Apple Pie Spice will elevate your recipes to new heights. We are creatures of habit. I get it. You bought some Apple Pie Spice, you love it, but there’s only so much apple pie being made in a year. 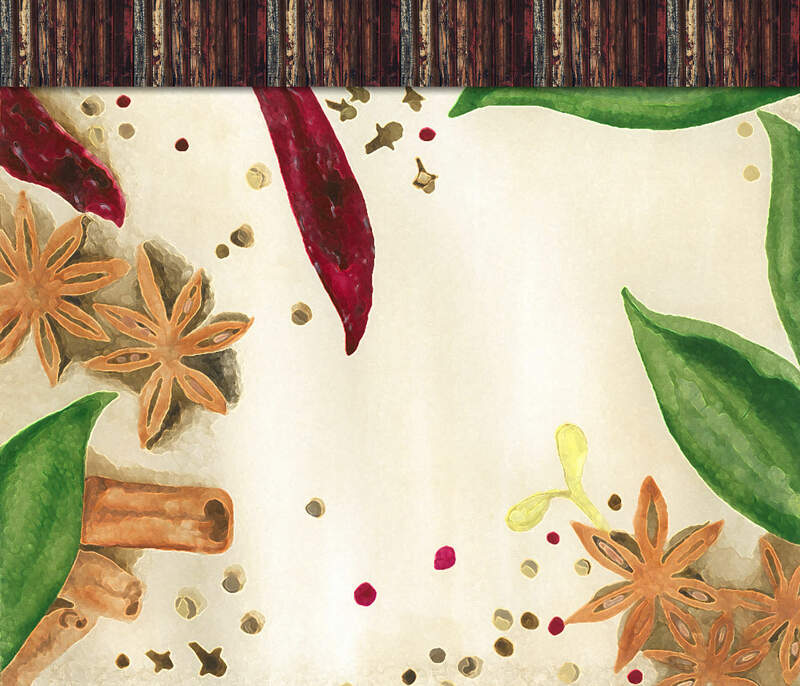 Fret not, organic spice connoisseur, Splendor Garden to the rescue! Cinnamon Replacement. 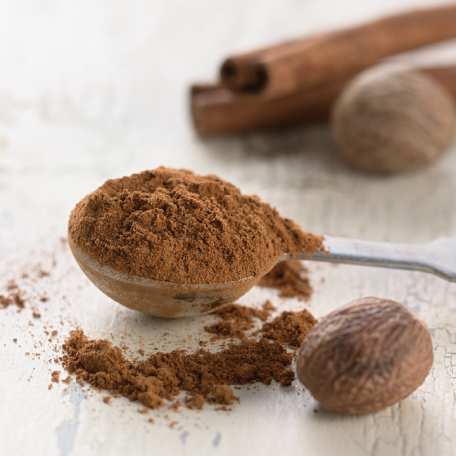 Recipes often call for cinnamon. Raise the bar and grab this blend instead. Use equal parts. Oatmeal. Sprinkle Apple Pie Spice on your Splendor Garden Oatmeal in the morning, and instead of using water in your oatmeal use apple juice or apple cider. Yum! Smoothies. I like to make a vanilla protein smoothie and add a little Apple Pie Spice and a pip of vanilla. Yum. Whipped Cream. Add a sprinkle to your freshly whipped cream, and top off your favorite fall pie. Sugar Scrub. Make your own sugar scrub, add 1 teaspoon of this Apple Pie Spice recipe for every cup of sugar in the recipe you use. Put it in a jar, wrap it with a bow, and you’ve got yourself a fabulous hostess gift. Drink Rimmer. Mix a little brown sugar with Apple Pie Spice and rim your next Apple Pie on the Rocks cocktail. I didn’t even get a chance to get this Easy Peezy Greek Dip to the table and the whole family was digging in to it. WAIT!, I yelled. SAVE SOME FOR ME!!! This dip couldn’t be easier because all of the ingredients are readily available and it comes together in minutes. I love taking this dip to any gathering because it’s loved by everyone. So delicious. 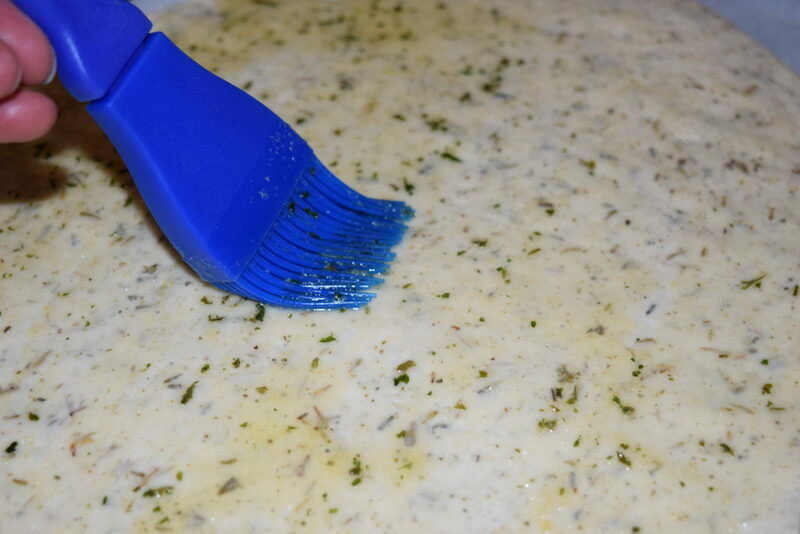 Blend softened cream cheese, sour cream, feta cheese and Greek Seasoning until combined and creamy smooth. Spread as base layer on a serving plate. 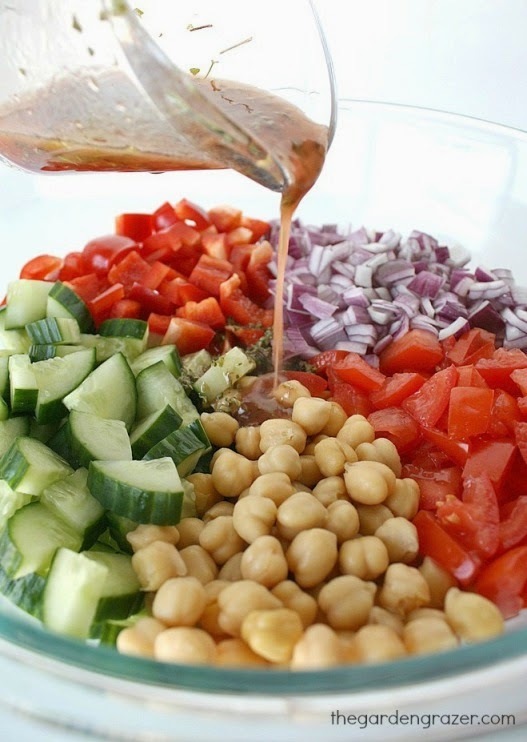 Drizzle prepared Greek dressing on top of the base layer. Then, sprinkle cucumbers, tomatoes, green pepper, red onions and feta cheese. 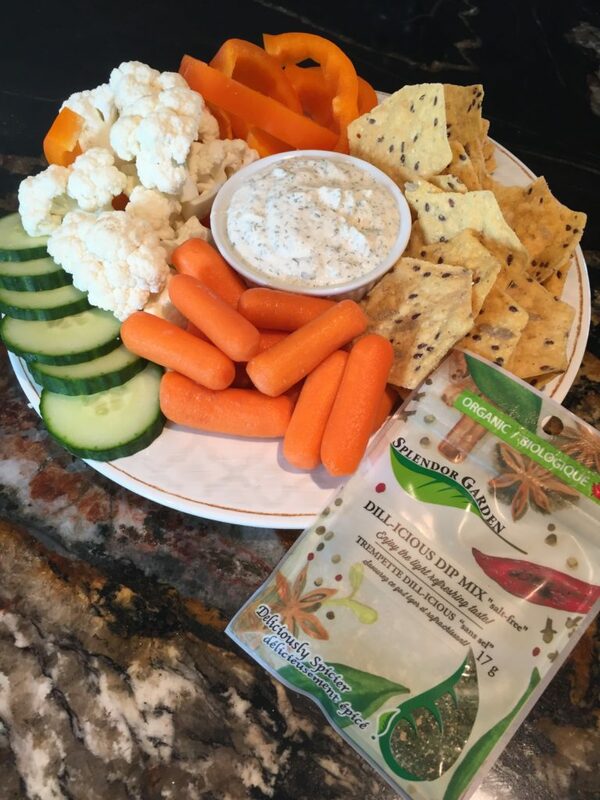 Enjoy with tortilla chips, vegetables and pita chips. I’ve been on the hunt for a salad that fills me up. One that get’s me through my long days of running here, there and well….everywhere! It needed to have loads of protein, be delicious and of course nutritious. I want a salad that is packed with all of the nutrients my body needs so I don’t land elbow deep in the doughnut box at 2PM. I think I found it! 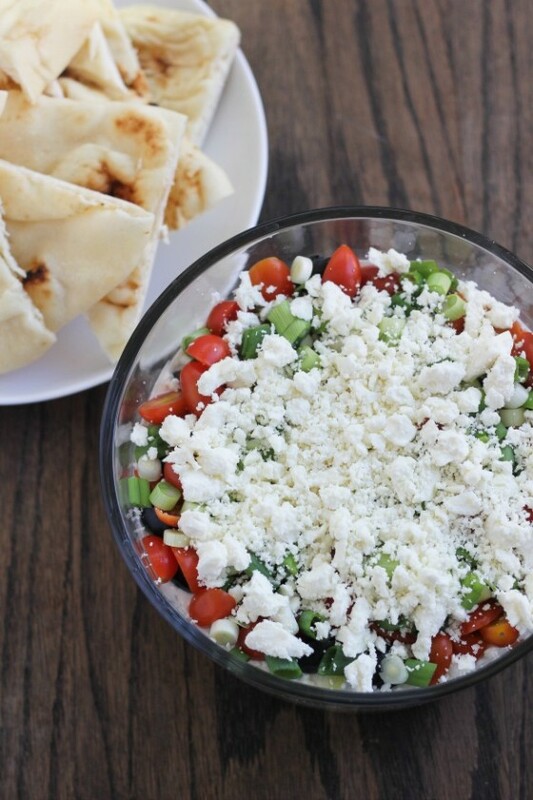 Not just any Greek Chopped Salad. This one has garbanzo beans (chickpeas!) Why had I never thought about that?! 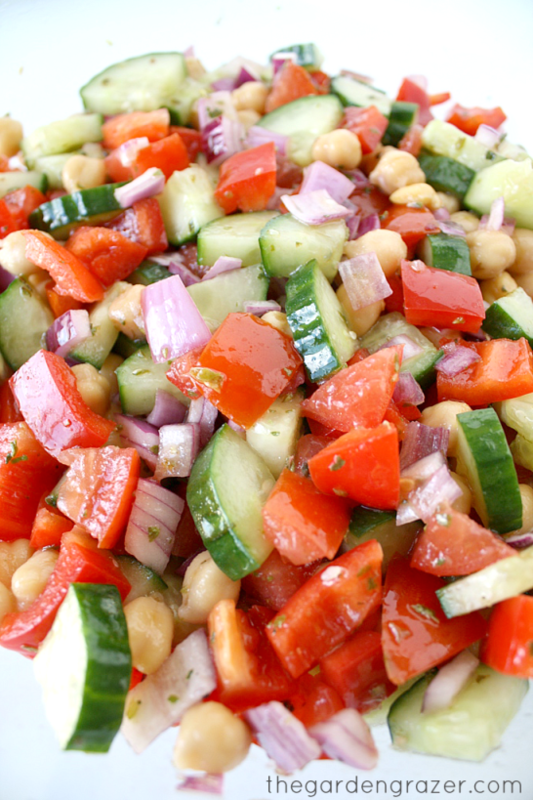 Chickpeas are little nuggets of power and are oh so good for you. This recipe is from The Garden Grazer who like me, loves all things wholesome and chocked full of vitamins. I adapted her recipe using Splendor Garden Organic Spices & Herbs! Life is SO busy! I can’t believe how quickly a day flies by and there I am, wondering what I’m going to make for dinner…again. Thank goodness for a freezer stocked full of fresh garden produce, baking and casseroles. When I am in the mood to cook, I always make extra so that I can pull leftovers out of the freezer on a whim. Remember that post for the Herbed Fail Proof Pizza Dough? Life got in the way and I couldn’t make pizza that night so I split the dough in half, wrapped it and froze it for another day. 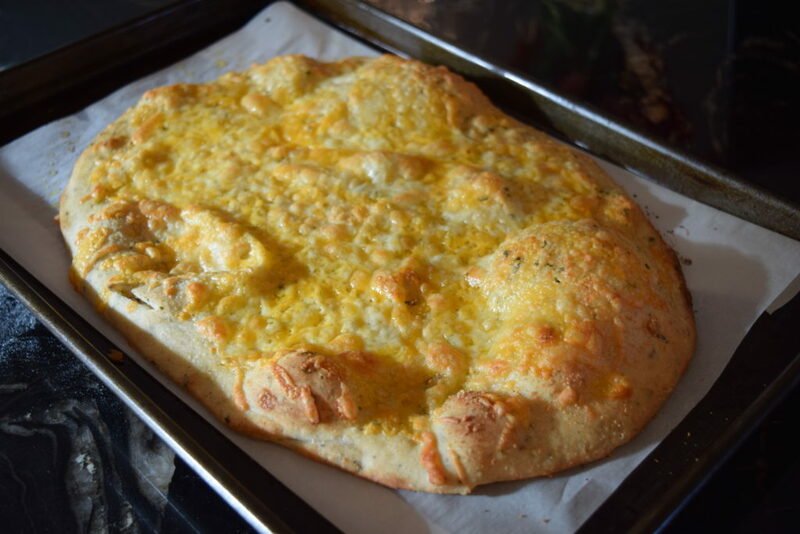 Last night, I pulled it out and decided to make some cheesy garlic fingers. My whole family loves them. They’re quick, easy and delicious. 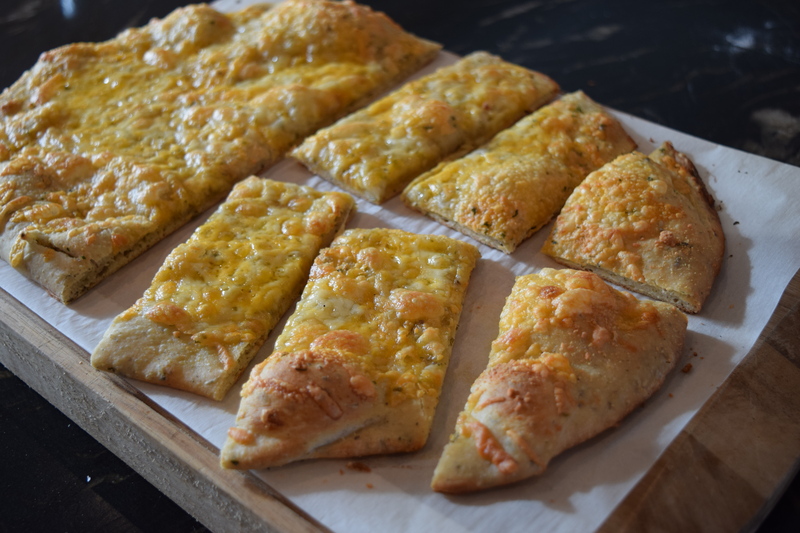 Cheesy Garlic Fingers are a quick and easy side to any dish. Try them with a soup, pasta or bug yummy salad! 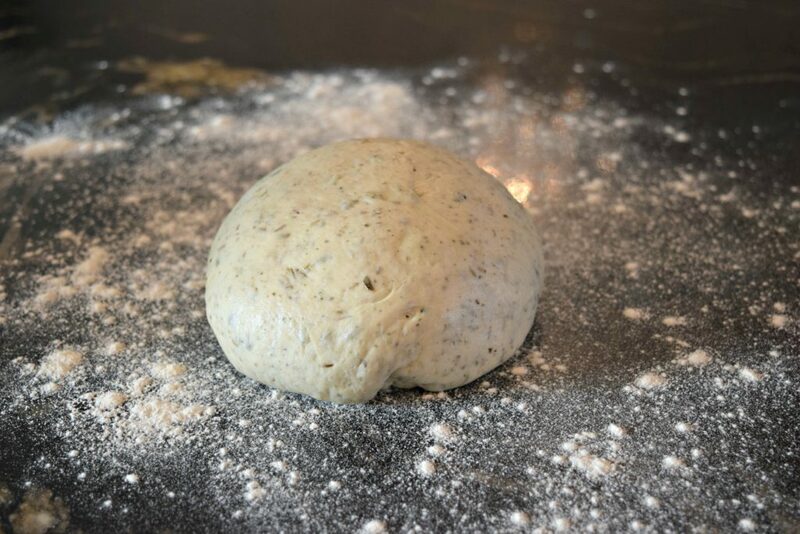 The recipe couldn’t be easier once you’ve followed the Herbed Fail Proof Pizza Dough Recipe. Step 1 – Preheat Oven to 400 degrees. Step 4 – Top with your favorite cheeses; add as many or a little as you’d like. Step 5 – Bake in preheated oven until golden brown. Approximately 15 minutes. Enjoy with a marinara dip! 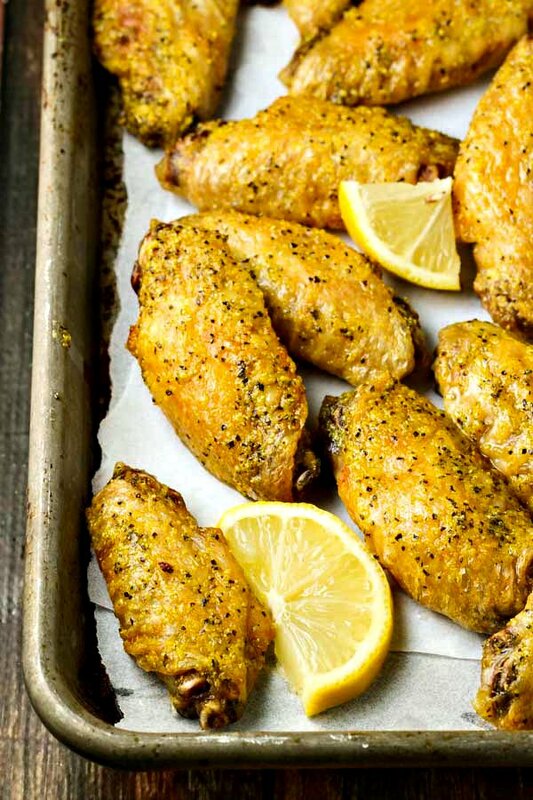 Only 4 Ingredients and you’re well on your way to the perfect Lemon Pepper Chicken Wings! Toss chicken wings and oil. Place wings on a wire rack set on a baking sheet, taking care not to crowd wings. Bake for 50-60 minutes or until golden brown and crispy. Remove wings from oven. Mix melted butter and lemon-pepper seasoning and brush liberally onto wings (stir butter mixture as you go to make sure you have plenty of seasoning for each wing). Place on platter and serve immediately. Be sure your sheet pan has sides to catch the grease! If you use a flat pan that has no sides, the grease will drip onto the bottom of your oven and cause it to smoke. 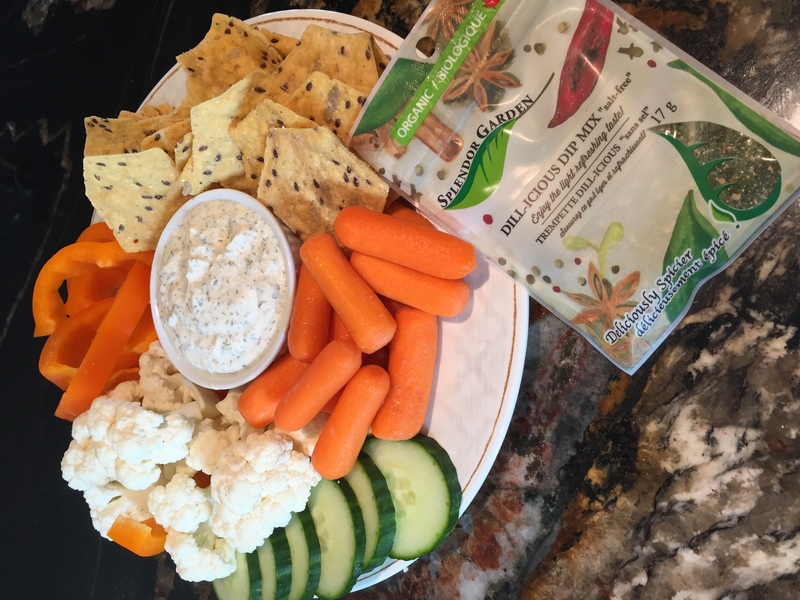 Add our Organic Dill-icious Dip Mix! Don’t stop there, pair these yummy Lemon Pepper Chicken Wings with our Organic Dill-icious Dip Mix for a complete pub experience!